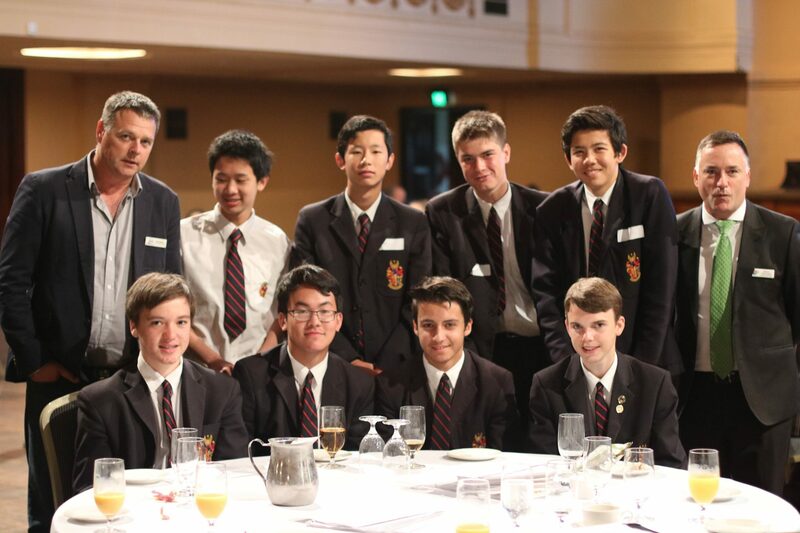 Eight Year 10 boys had the privilege of attending the Youth Grant Makers Forum held on Wednesday March 8th at the Melbourne Town Hall. The Forum was a mix of program information, guest speakers, networking activities and a Grant Making workshop. The boys now must select the category they wish to target and can either choose their own charities or have them assigned by the foundation. What is Youth in Philanthropy? The Youth in Philanthropy program was established by the Lord Mayor’s Charitable Foundation in 2002 to help young people learn about philanthropy, social awareness and community leadership. The aim of the program is to inspire young people to use their enthusiasm, creativity and energy to begin a life-long commitment to giving through activities that have a positive impact on the communities they live and will, one day, work in. Darren McConnell the CFO from the Lord Mayors Charitable Foundation has been assigned as our mentor again this year which is great news. Darren is looking forward to working with the school again as we decide which of the 3 charities will be assigned the main grant of $9,000 with the remaining 2 each receiving $500. The school also has the option to fundraise a further $2500 which the foundation will match thus bringing the total available to $15,000. (Front L-R) Benjamin Graham, Dennis Gu, Leo Kouskouris, Curtis Wilson, (Back L-R) Darren McConnell, Josh Sum, Matthew Young, Asher Yu, Lionel Wang and Matt Pfahlert from Australian Centre for Rural Entrepreneurship. Youth in Philanthropy has been a flagship program of the Lord Mayor’s Charitable Foundation since 2002. The program engages students from private and government schools across Melbourne in thinking about community needs and making decisions about granting when there are competing priorities. The Foundation aims to build a culture of lifelong giving and community contribution through this program. The Foundation appoints experienced mentors who guide students through the grant-making process including assessments of funding applications, interviewing potential grant recipients and making funding recommendations. The program is also designed to facilitate school and student involvement with the Foundation and gain an understanding of current community issues. The charity visits will again take place in June and July and the boys really look forward to seeing first-hand what each of them actually do on a day to day basis.